It is such a very great pleasure to join you this evening. Like you I come here as friend of Richard Reid. It is a wonderful tribute to the many strengths of Richard that so many friends tonight have come to demonstrate our shared respect. Since I came to London five years ago, I have come to know Richard both professionally and personally. And indeed, I have benefited a great deal from him. Richard has exceptional knowledge of the City. He has very special expertise in London's financial services. And he has given me most valuable advice for China-UK cooperation. As Ambassador I am being rather informal this evening using just the first name Richard. I am using 'Richard' as I regard you Richard as a true personal friend. But you also deserve much credit as a very special friend of China UK relations. · Eight years ago Richard established KPMG's UK-China Business to work with Chinese groups as they expand overseas. 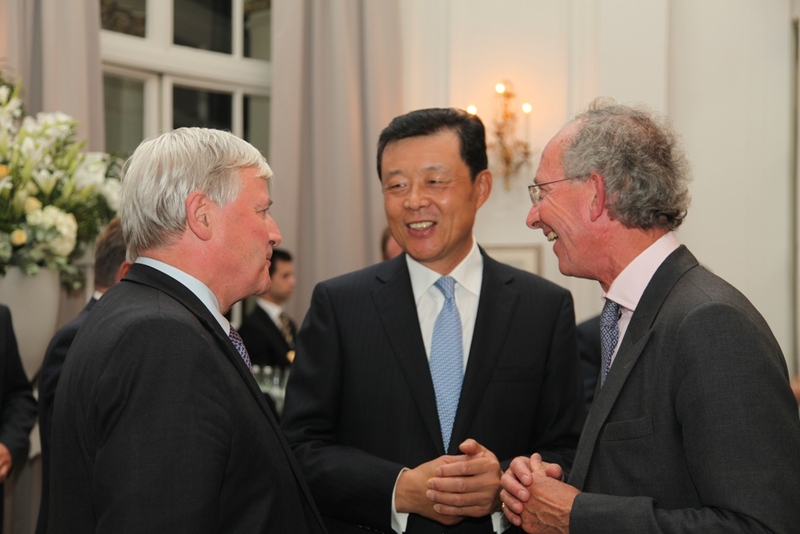 KPMG has played an important role in facilitating investments between China and UK. · In 2012, KPMG was involved in 7 out of the 8 major Chinese investments in the UK, including CIC's investment in Thames Water and Heathrow Airport. · KPMG has been a leading advisor for the Chinese potential investment in UK's nuclear power generating market. · And KPMG assisted Jaguar Land Rover to enter the Chinese market and form a joint venture with Chery Auto. · Because of his China involvement, Richard was asked by the UK Government to chair a Financial Services Group in the City last year. In this position, Richard worked to promote stronger business links between China and the UK Financial Services industry. 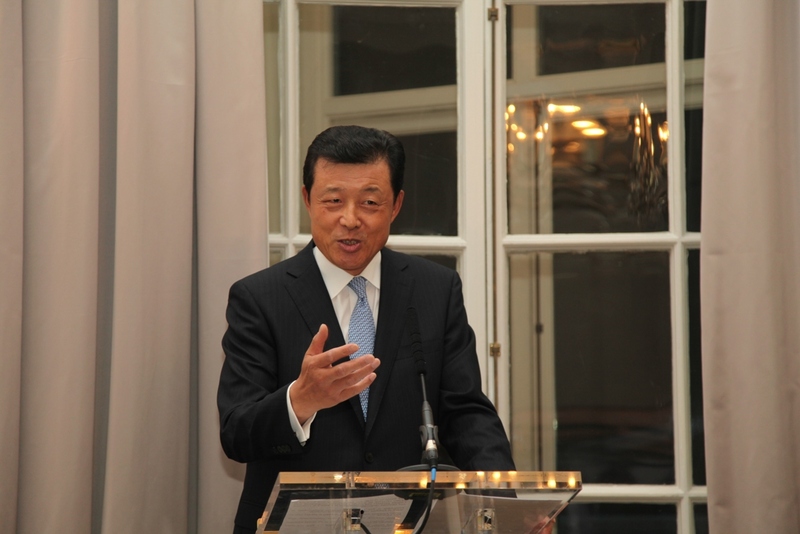 · Richard also accompanied Chancellor George Osborne to Beijing in 2013, when Chancellor Osborne announced that UK would welcome Chinese banks to set up branches in London. Since then, KPMG has facilitated with the communications between the regulators and successfully assisted ICBC and CCB to obtain their branch licenses in 2014. · In terms of personal efforts, Richard is very much involved with The 48 Group Club, which focuses on building stronger Sino-British ties. I had the honour to present him a Fellowship of the 48 Group Club in 2012. So, I want to take this opportunity to express my sincere appreciation to Richard. I also want to say that seeing Richard leave KPMG understandably gives me mixed feelings. This is especially so given the prospects of encouraging economic growth in both China and the UK. I know this is an ambition that Richard strongly shares! Such growth will surely generate enormous opportunities for businesses to pool their capital, their expertise and their efforts to achieve something truly great for both our countries. · Growth is steady and the economic prospects are good. o In 2014, growth in China was 7.4 percent. In the first six month of this year, we hit 7.
o The Chinese economy is graduating to a healthier and more sustainable 'new normal'. Energy consumption per unit GDP has been dropping, consumption's contribution to growth has been increasing, and the quality and efficiency of development have been improving. · Reforms of China's financial system are deepening. o The recent reform of the exchange rate mechanism was a move to strengthen the invisible hand of the market. o These reforms will build more open and transparent capital and monetary markets that are capable of sustained, steady and healthy development. o The China-advocated 'One Belt and One Road' initiative is gathering momentum. o International cooperation in production capacity is unfolding. o This will offer enormous opportunities to international businesses in terms of both capital investment and cooperation with Chinese partners. · President Xi Jinping will pay a state visit to the UK in October at the invitation of Her Majesty The Queen. 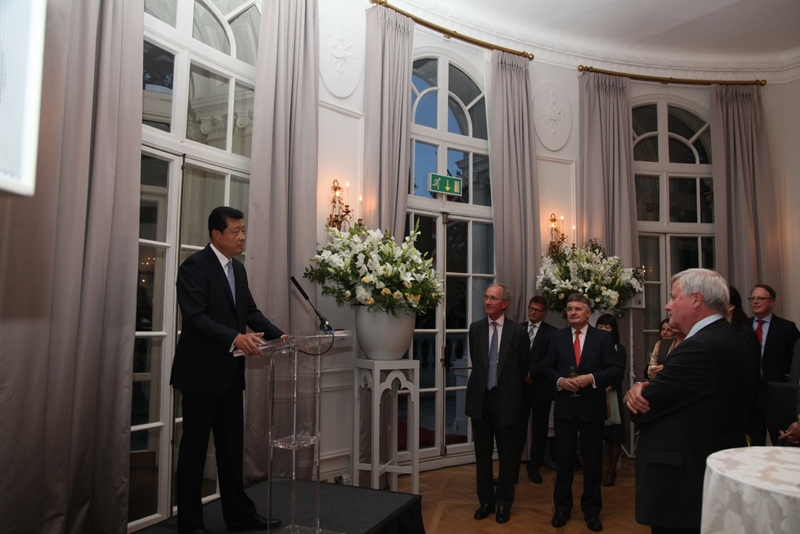 · This visit will mark a new milestone and usher in a 'Golden Time' for China-UK relations. · At the Embassy here in London we are ready to work with the Palace, the UK Government, the Parliament and various communities for the success of the visit. All in all, there is simply so much KPMG and its Chinese partners could do together. There are so many opportunities up for grabs. And it is such regret that Richard, a good friend and close partner over many years, is leaving KPMG. I am sure Richard will continue to take an interest in and support KPMG's cooperation with China and indeed the China-UK business ties as a whole. And I hope, Richard, you will continue to inspire and encourage the young professionals of KPMG and other businesses to follow your very fine example. Despite my reluctance to see Richard leaving, I am delighted that KPMG has found an excellent successor in David Sayer. David is also a friend and no stranger to China. With David in charge, one has reason to look forward to KPMG carrying on with its productive cooperation with Chinese partners and contributing to China-UK economic and financial cooperation. Friendship is key to forging business partnerships as much as building relationships between countries. At the Embassy here in London, KPMG is always sure to find a friend. I look forward to continued close collaboration with KPMG. I wish KPMG even greater success in its global business, especially its operations in China. And finally, Richard – dear friend – I wish you every success for your future!